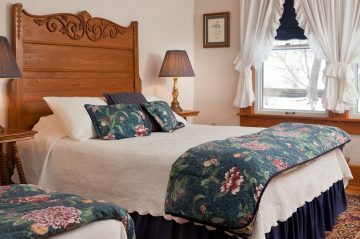 Our accommodations at The White Oak Inn are located in four different buildings: The Main House, the Guest House, and the two luxury log cabin cottages. 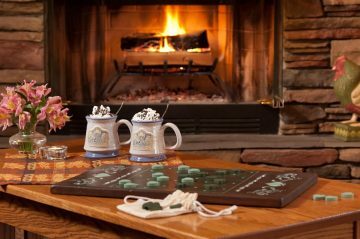 We offer several different lodging options for travelers including cozy guest rooms, pet-friendly accommodations, and specialty lodging in our log cabin cottages. 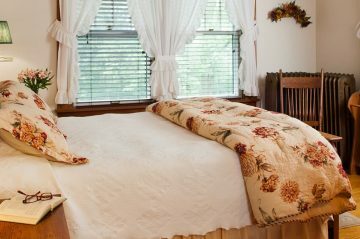 Our Amish Country Ohio lodging is located near Columbus and Cleveland, allowing our guests the convenience of being close by to major attractions in the area. 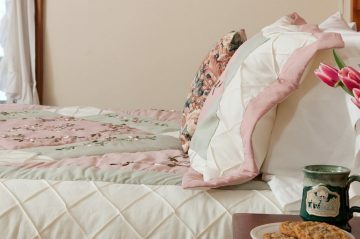 Whether you’re visiting the area for a honeymoon, family reunion, or weekend trip with friends, we’re committed to ensuring your stay is comfortable and relaxing. 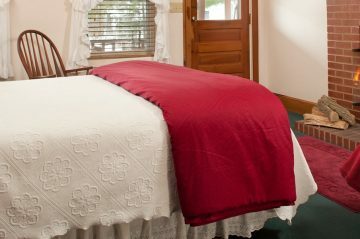 The Main House of our Amish Country Ohio lodging has seven well-appointed guest rooms. The building is over 100 years old and constructed from beautifully restored red and white oak timbers, creating a peaceful atmosphere for your vacation. 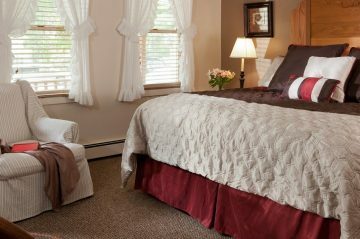 These rooms are large with private baths and Wi-Fi access. 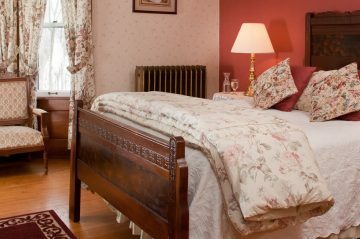 Our three Guest House rooms are romantic and secluded, with large beds, wood-burning fireplaces, air conditioning, TV/DVD players, and private baths. 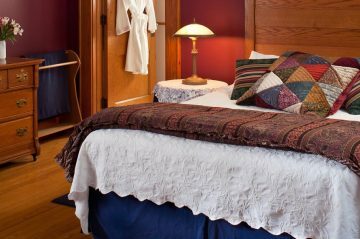 Our Guest House will provide you with the privacy and relaxation you desire, beckoning you to experience what true Amish Country Ohio lodging should be. We welcome well-behaved pets in The Willow and The Dogwood rooms. Tucked into the woods behind the inn, our cottages are the ultimate romantic hideaway for two. Each one features a separate bedroom with king-size bed, living room with fireplace and two-person whirlpool tub, stocked snack center, TV/DVD players with DIRECTV, and private deck. 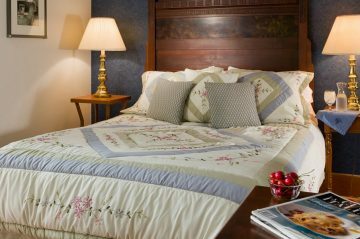 Our exceptional Amish Country Ohio lodging was designed to help our guests fully experience this beautiful area. 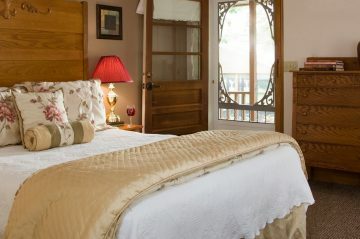 The largest room in the Guest House, this pet friendly room has a wood-burning fireplace and high-backed king-size bed. This pet-friendly middle room in the Guest House features a cathedral ceiling, oak beams, an electric fireplace, and a large-screen TV. The Redbud Room is decorated in tones of burgundy, rose and cream and features a beamed cathedral ceiling. Offering luxurious privacy, our romantic cabins were built to give our guests the ultimate getaway experience.